Kaali (Rajinikanth) joins as a hostel warden and protect a few students in the process. In due time, it is revealed that he has a dark past. Something from his past comes up and he has to avenge. Rest of the story is all about why he joins as hostel warden and how he chalks a plan for the revenge. Actors: Rajinikanth is in his elements. He is very stylish with vintage mannerisms. It’s a one-man show for him. He is sparkling in both dances and fights. Vijay Sethupathi plays an important role and he is very good. Nawazuddin Siddiqui is exceptional as the coward villain. Trisha is seen for a limited time and she is good. Simran is also seen in a couple of scenes. Bobby Simha and Sasi Kumar are good. Megha Akash (Chal Mohan Ranga fame) plays a small role. Story - screenplay - direction: Story of the film is not new. It’s a Basha-format story. Director Karthik Subbaraj has presented Rajinikanth the way fans would like to look at him. Every frame of the film featuring Rajini is an eye feast to his fans. He has also written screenplay well and reveals the importance of characters to the story at the right time. Generally, Rajinikanth characterization in his films is marked with kindness and sacrifices. But, Rajini characterization in this film is similar to that of cowboy films (it’s a cut-throat character). First half is fun, but second half gets a little tedious. However, climax twist is good. This film is Karthik Subbaraj’s tribute to Rajini. Other departments: Music by Anirudh is excellent. He gives western background music and it helps building up the momentum in the film. Cinematography by Tirru is another asset. Dialogues are good (aipoyananukunnarra? Nenu maree antha manchi vaadini kaadu etc). Production design is good. Fights composed by Peter Hein are extremely stylish. Editing is neat. Production values of the film are compact. Analysis: First half of the film is good. Second half slows down a bit. But, climax is good. 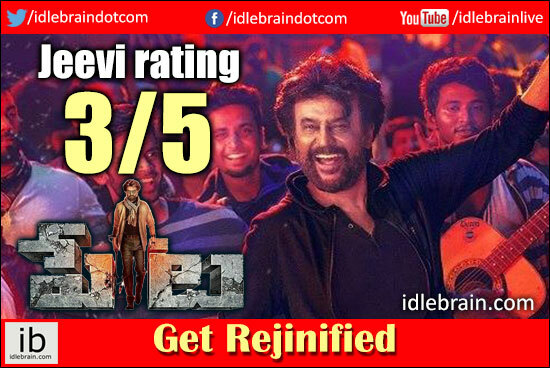 Petta is like a beautiful expression of poetry in slow motion for fans of Rajinikanth. You want to stop and cherish each and every moment of Rajinikanth in the film. Plus points are Rajinikanth, stylish presentation by director and superb background music. On the flipside, story is an old one and second half looks familiar. On a whole, Petta unveils a new stylish Rajinikanth for all of us to get Rajinified!